Do you have something you want to promote online? A website? A blog? A product? A service? A business? A cause? An event? Anything, really. Well, I can help you reach your target audience through this blog. I’m accepting interested parties who want to directly rent advertising space on my blog. 1. You make an advertisement. 2. You rent space on my blog. 3. I place your advertisement on the agreed space with a link that directs to whatever it is you want to promote. 1. The blog’s readership perfectly caters to your target audience. Majority of my site’s visitors are from the Cordillera region. Furthermore, the site visitors that originate from outside the Cordillera region or outside the Philippines are mostly Cordillerans. In a nutshell, when you rent ad space in my blog, you are assured of the fact that majority of the views it gets are from people who will be genuinely interested in what you’re trying to market. 2. 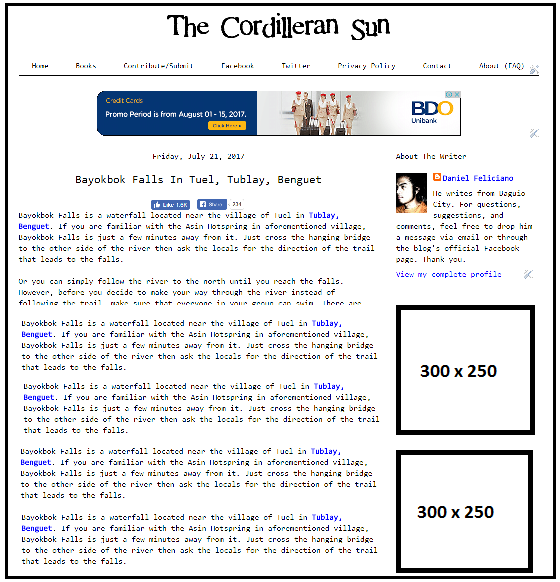 The blog gets thousands of visitors a day. The blog receives a minimum of 1,000 unique visitors a day. But there are days when the traffic can shoot up to 50,000 unique visitors a day especially when an article goes viral. 3. 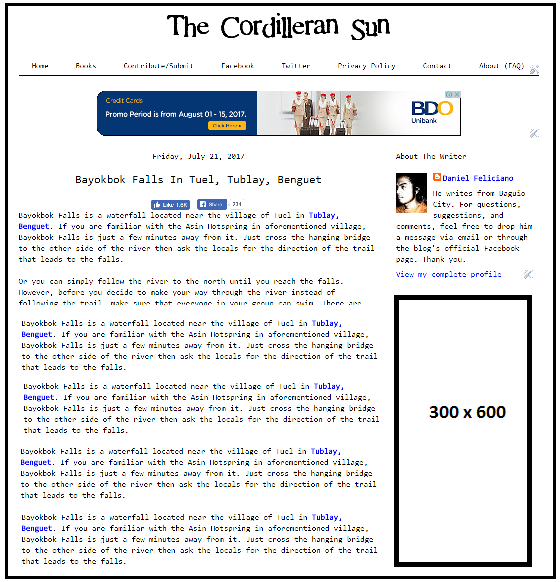 When it comes to traffic and influence, the Cordilleran Sun remains as one of the largest websites in the entire Cordillera region. For many people, it’s their go-to site for news, commentary, and stories that relate to the Cordilleras. The blog also has a sizable following on Facebook. With more than 25,000 likes, the blog’s Facebook page reaches thousands of people every week. 4. It is much more affordable compared to buying advertisement from traditional media outlets like radio, television, and newspapers. Advertising in traditional media is not only very expensive, it also has a very limited reach. What’s great about online advertising is that your ad gets seen every time a person visits the website. 5. Last but not the least, online advertising works. It generates fast results. For now, I’m only offering my blog’s side bar for direct advertisers. If things work out well, I may consider opening other sections of the blog. 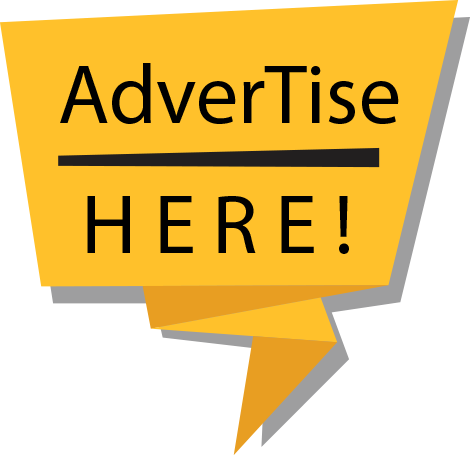 If you're interested in renting advertising space from my blog, send me an email at thecordilleransun@gmail.com or send me a message on our Facebook page. Thanks. Thanks a lot for sharing this post! I was wondering a lot about how to get the target audience reach my business website. Now I will take help of SEO and facebook ads management services for promoting and advertising my business that too with a white hat technique.